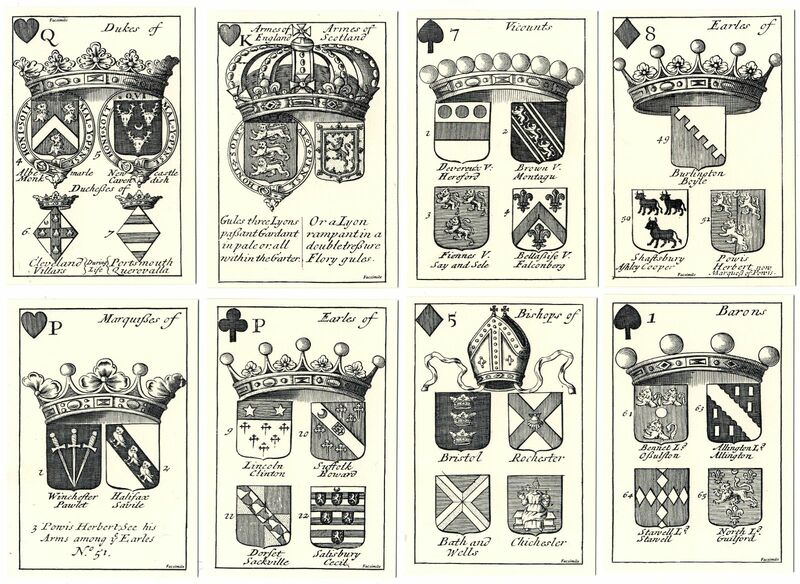 A great fashion for educational playing cards had spread from France to Holland, Germany and England during the seventeenth century. 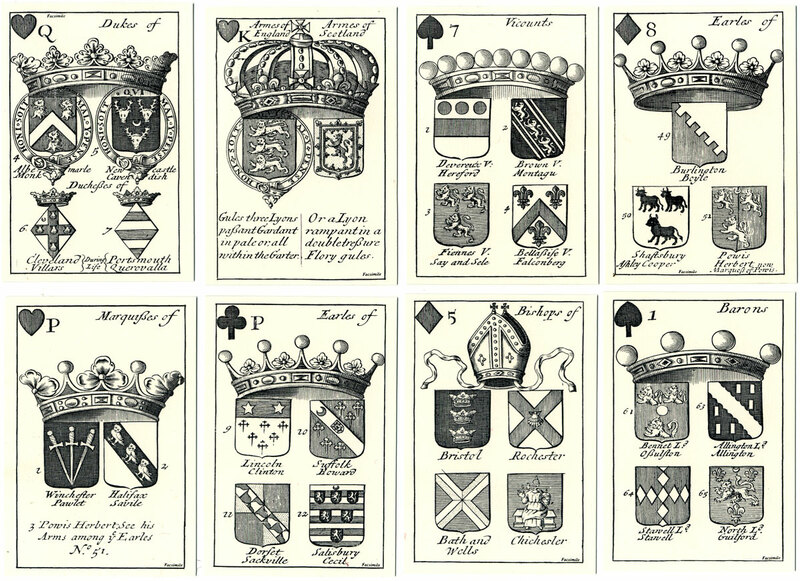 The Arms of English Peers playing cards were first published in 1686. Three editions of the pack are known, each with some variations. Heraldry, or a knowledge of the arms and blazons of royalty and aristocracy, had become an important part of a respectable education. Each card gives the armorial shields of two, three or four of the Lords Spiritual and Temporal, surmounted by a large coronet or mitre. The value is indicated by a suitmark with a numeral or letter in the upper left corner. Backs plain.